When Mikkel Boedker broke into the NHL as a teenager with the Phoenix Coyotes in the 2008-09 season, his teammates noticed an abnormality with his physique. Hockey players are known to have large quadriceps, but Boedker’s makeup was like something no one had ever seen inside an NHL dressing room. Like a typical 19-year-old, he hadn’t quite filled out yet – except for one specific part of his body. Fast forward more than a decade later and, while the rest of the 28-year-old Danish forward’s six-foot, 210-pound frame has filled out, teammates are still fascinated by the size of his thighs. While DeMelo is inquisitive about his genetic makeup, many of Boedker’s new teammates in Ottawa are more curious about his jeans. They’re convinced he can’t purchase pants off the rack. "I was actually thinking about this the other day when I was jean shopping online,” says Mark Borowiecki. “The only jeans this guy could wear would be boot cut. He couldn't buy anything with an ankle taper on them." “I remember the first time I saw him I thought, “How does this guy buy a pair of pants?” That was honestly the first thing that popped into my head,” said Zack Smith, whose locker stall is directly next to Boedker’s. For his part, Boedker downplays the notion that he needs to buy specially tailored clothes. His teammates, however, don’t buy his story. Bobby Ryan offered a theory of what Boedker is doing in order to find pants that fit him properly. “There's absolutely no way he's not tailoring every pair of pants he buys – unless he's buying a size-40 waist and then tailoring the rest to fit him,” Ryan said. Yandle recalls Boedker doing something similar when they were teammates with the Coyotes. “He would have to buy 38-inch-waisted jeans – he was probably a 32-inch waist – and then tie up his belt real tight,” said Yandle. Wherever Boedker has played, his thighs become an immediate topic of conversation – often serving as an ice breaker with new teammates. Borowiecki recalls Boedker’s thighs being a part of a conversation this past summer when he and his wife, Tara, went for dinner with Kyle Turris and his wife, Julie. Now in his 11th NHL season and with his fourth different team, Boedker says he is accustomed to being treated as a freak of nature when his new teammates first lay eyes upon his enormous quadriceps. Boedker declines to mention exactly how big his legs are, claiming he’s never measured the circumference of his upper thighs. 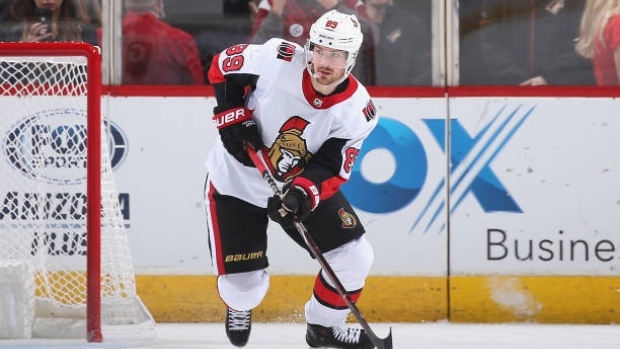 Boedker admits that he has never seen a hockey player with bigger thighs than him – although he was once fascinated by the size of one athlete’s quadriceps. He’s spent time working out with Olympic cyclists in the past and did a session with German cyclist Robert Forstemann in the summer of 2016. “It was the most insane thing I’ve ever seen. It’s like how some people are with me,” Boedker said. With legs of this size, another question that comes to mind is how much weight could Boedker squat? Unfortunately, we may never know the answer. “We don’t really do squat contests, we’re too busy for that. But I would hope and trust myself that I would be near the top,” says Boedker. His teammates all have a sense of curiosity about how much he could squat if he was given the chance. “I think he would blow anybody out of the water if it came to a squat competition,” said Smith.